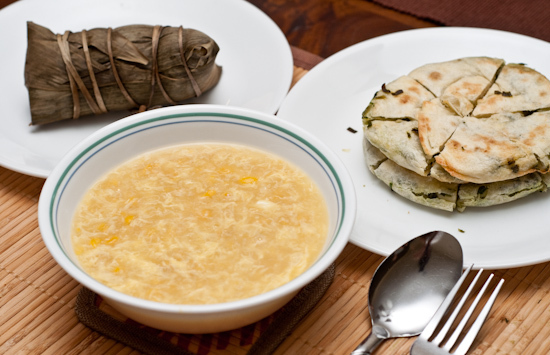 Lunch: Corn soup with zong zi (Chinese glutinous rice and pork "tamales") and cong you bing (scallion pancakes). 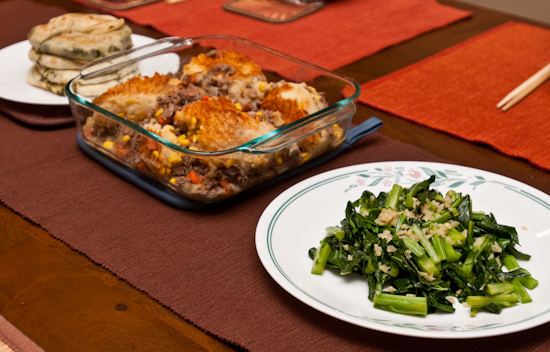 Dinner: Last of the Cottage Pie with sauteed garlic collard greens and cong you bing. Dinner: We went to a food blogger invitational dinner at Kenichi (419 Colorado Street, Austin, TX‎ - (512) 320-8883‎) where they provided us a seven course meal with sake pairings. I only had a few sips of the sake because I had to work more that evening (and, from past experience, consumption of alcohol reduces my appreciation for food and deadens my taste buds), but even so I could taste a whole variety of different flavors that different sakes can provide. 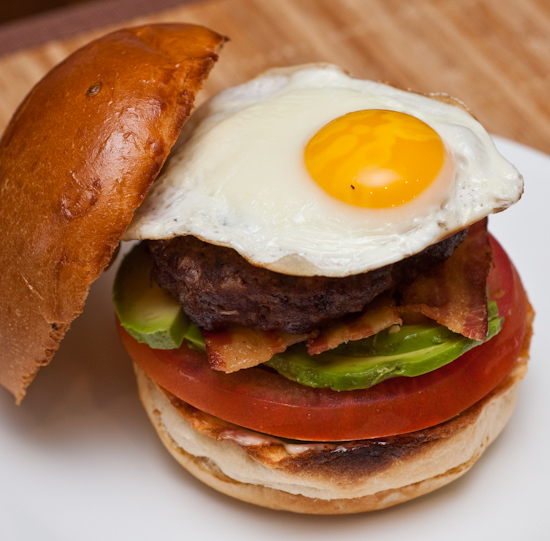 Many paired excellently with the food while some others just didn't seem to work for me. 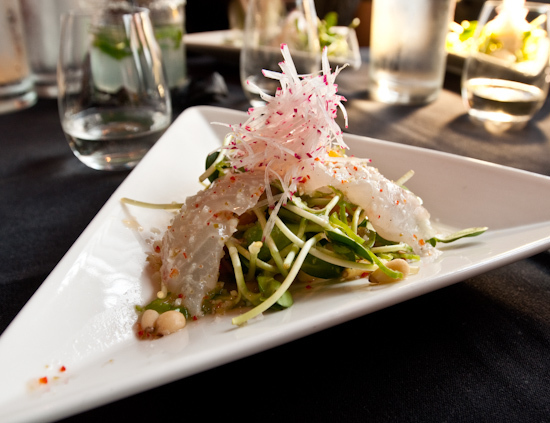 red snapper salad tai sashimi with pine nuts, orange supreme, shishito peppers, sunflower sprouts and confetti sauce. I felt the sashimi was too mild of the strong flavors of the sauce and the sprouts. In addition, there were too many sprouts - in the end I left the excess sprouts with a small pool of sour dressing. It was surprising that there was a puddle of dressing left over since the person who brought my plate to the table managed to spill some of it on Tina's lap. She also spilled some on Natanya (of Fête & Feast), but I suppose it's excusable since she works in marketing and isn't one of the wait staff (helping out to accommodate the large group). I think much of the problem comes from the triangle plates which are easy to tip slightly and cause low viscosity liquids to slosh out. 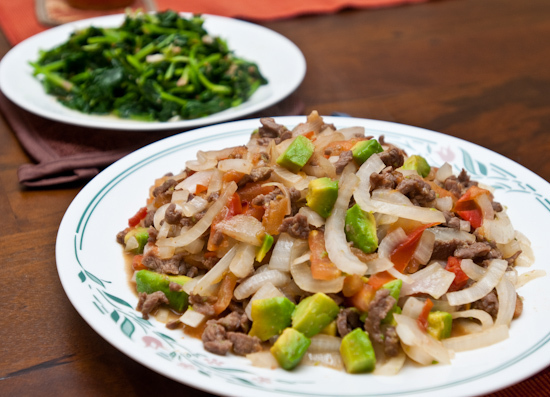 Thicker sauces on plates of that shape should pose no problems. 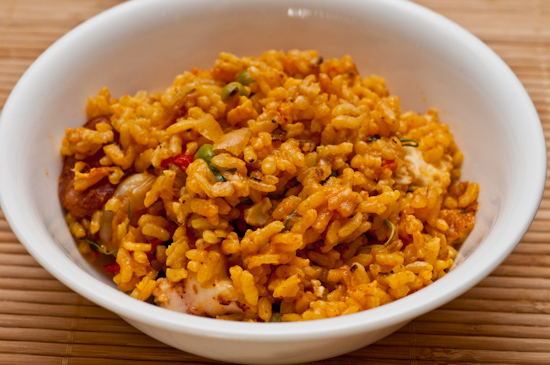 Lunch: I ate a small bowl of leftover paella from FINO. 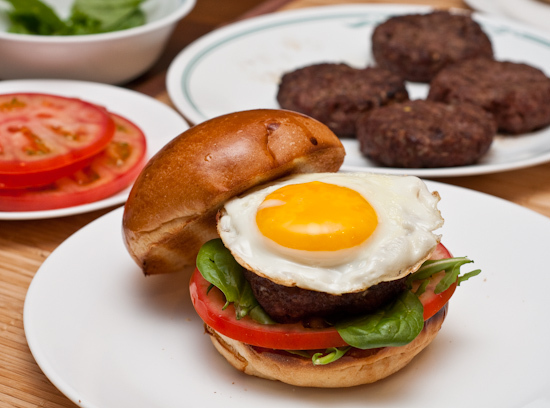 Dinner: I grilled up a few quarter pound ground chuck patties (blended with minced shallots, garlic salt, salt, and fresh ground pepper) and served it on a toasted pain au lait hamburger bun with baby spinach and arugula, tomato, and a fried egg. Lunch: I had the last couple Domino's pizza slices. 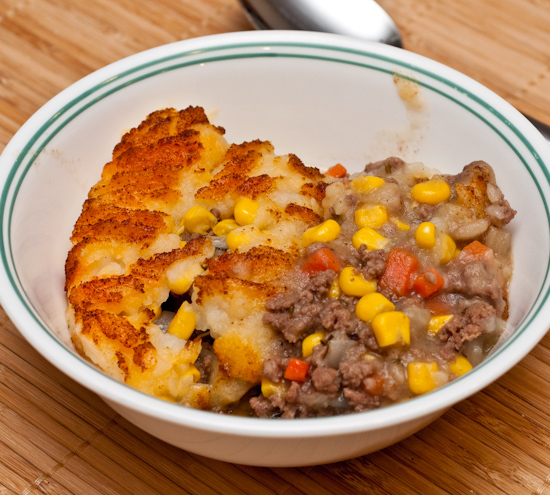 Dinner: Tina made a cottage pie and I had a couple bowls of it for dinner. Dinner: Just before shopping for groceries, we ate dinner at Central Market Cafe. 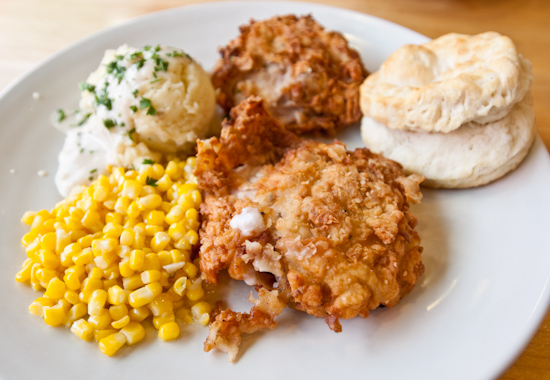 I had the Sunday special which was a Country (or Southern depending on which sign you're reading) Fried Chicken with Mashed Potatoes, Corn, and Buttermilk Biscuit. The breading on the chicken was fairly thick - almost bread-like. I thought of it as dipping the chicken in Yorkshire pudding batter and then deep frying it. It's different and kind of good at the same time. The potatoes were a little bland, corn was too buttery, but the biscuit was excellent. 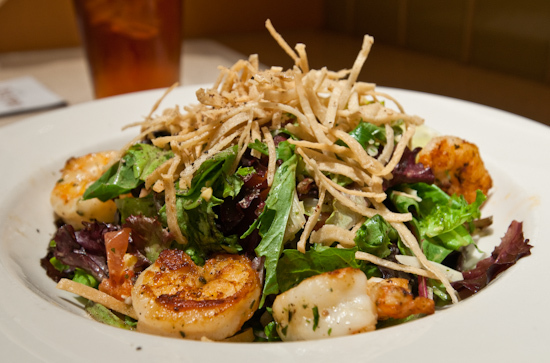 Lunch: We had lunch at Nordstrom Cafe Bistro where we split two salads. 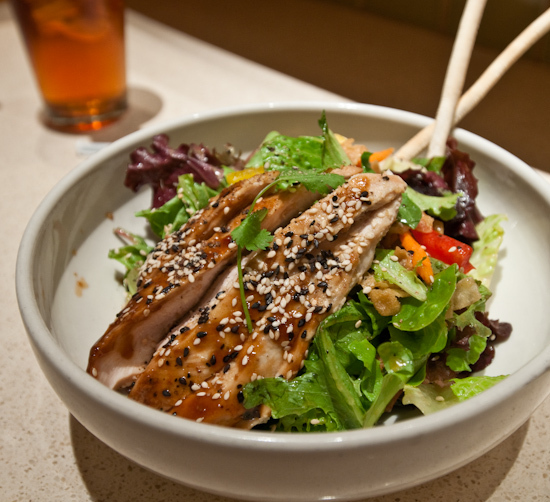 I started with their Warm Asian Glazed Chicken Salad which had a well-balanced sweet dressing and tender chicken. The other salad we ate was a Cilantro Lime Shrimp which was also nicely prepared except for the fact that the shrimp was from the Gulf (and both Tina and I dislike the strong bromine flavor of Gulf shrimp). 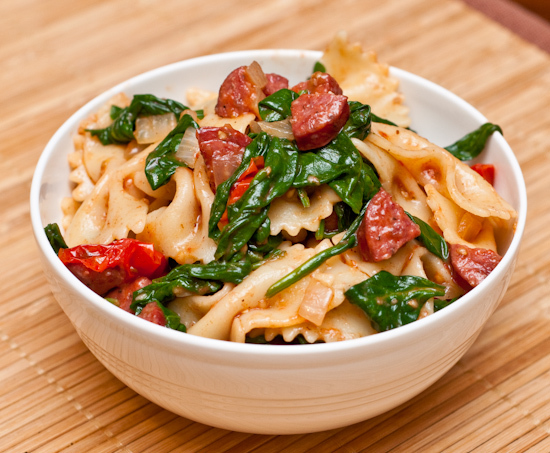 Lunch: I ate leftover bow-tie pasta with sausage and spinach. 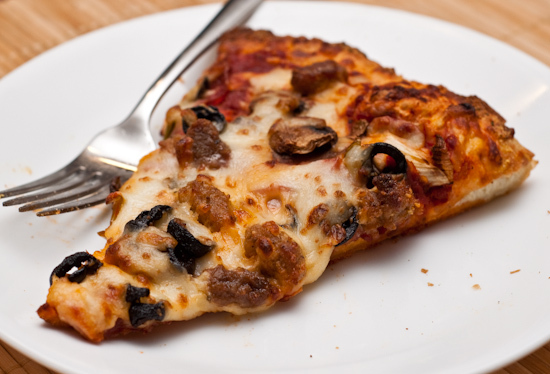 Dinner: I ate a few slices of Domino's pizza for dinner. Hand tossed crust, Extravaganzza feast. 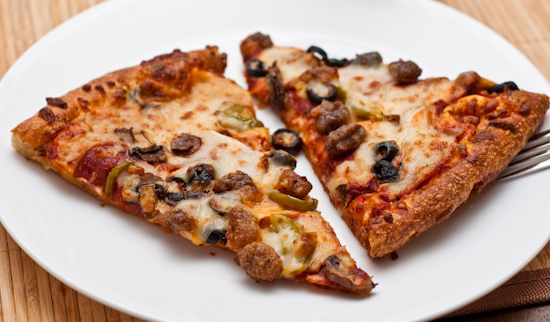 I think of the Domino's crusts we've tried, the hand tossed without garlic dressing is the one we dislike the least. 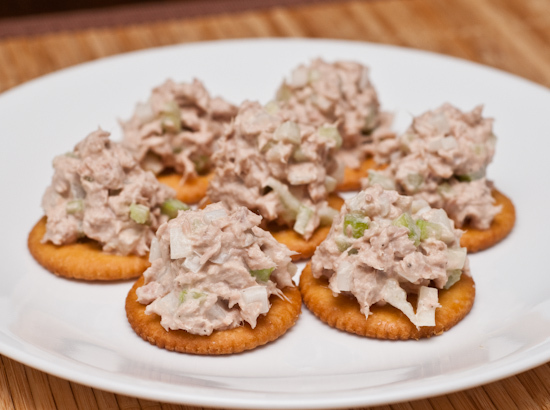 Lunch: We had tuna fish salad with Ritz crackers. 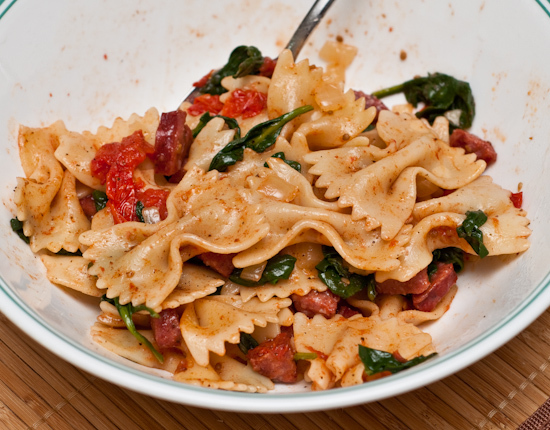 Dinner: Tina prepared bow-tie pasta with sausage, spinach, and roasted cherry tomatoes. 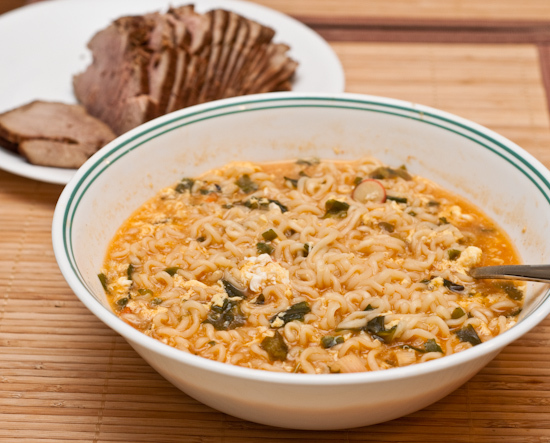 Lunch: We had Nong Shim Seafood Ramyun Instant Noodles with sliced cold pork shoulder. 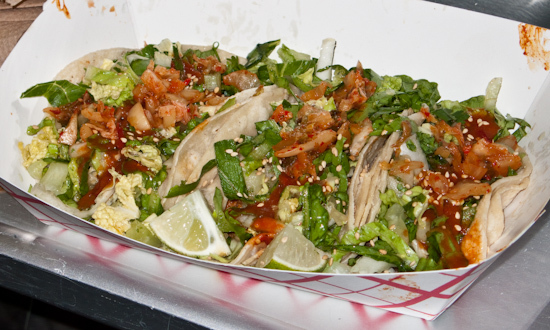 Dinner: We ate three tacos each from Chi'Lantro - a Korean taco truck. We had one beef, one chicken, and one spicy pork taco with kimchi on top.